If you have a question I've not answered, let me know and I'll add it in. 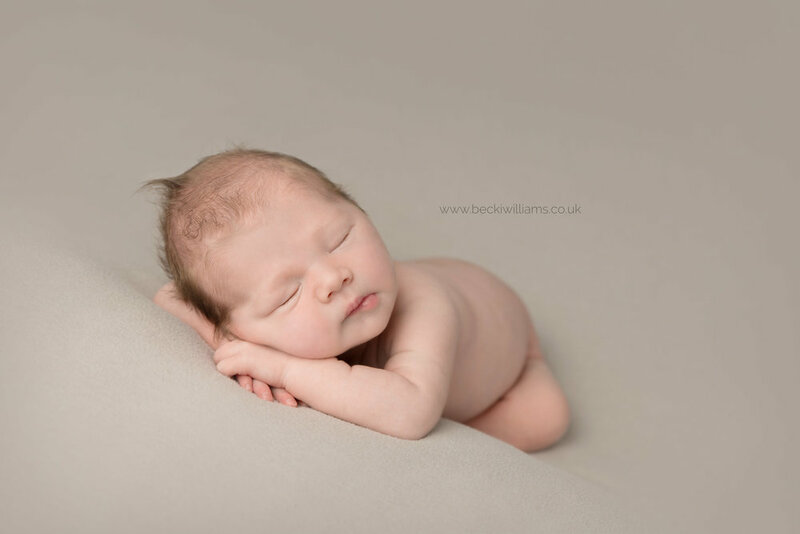 I take newborn bookings any time after your 12 week scan. I am sometimes booked up a couple of months in advance so it's best to try and book at least a few months before you're due. It's always worth getting in touch to check whether I have space, no matter what time you start looking for a photographer. My booking process is extremely easy. Firstly, fill out the contact form on the Get In Touch page above or at the bottom of this blog. Let me know your due date or how old your newborn is and any other information you feel is important. I'll send you over my Client Guide, which has all the information about your shoot including clear pricing. No surprises here. If you decide to book I send you over a link to a Booking From and Contract, which can both be completed and signed online on your computer, tablet or mobile phone. On the booking form you can explain to me exactly what you want from your shoot - whether you want family images, colours, themes, likes, dislikes. Whether you have every little detail planned out in your head or if you want to leave everything up to me, that's fine. Finally i'll send you a secure invoice, which can be paid online, just as if you were online shopping. Do I pay for my images up front? All you have to pay upfront is your Session fee, which confirms you a space in my diary. You don't have to decide what images you'd like to purchase until you see them. I have an online payment system where you can pay via card just like online shopping. How do we book a date when we don't know when my baby will arrive? For now, we'll pencil in a date around a week after your due date. That date can then be changed depending on when your newborn decides to arrive. 95% of the newborn shoots I book don't end up happening on the date they were originally planned but booking in advance secures you a date in my diary. I only ever book a certain amount of photo shoots a month, meaning you are guaranteed a spot, whether your shoot takes place earlier or later than expected. What if my baby has to stay in hospital for a while? If your newborn has to stay in hospital for one reason or another, we'll keep pushing your photo shoot date back until they are well and safely home. And just like that - you're all booked in! Your pencilled date is in my diary and it's time to wait for your little one to arrive. You can follow me on Facebook & Instagram and send over any questions you think of via email. Whether you had a home birth, c-section, all the drugs, natural birth, breast feed, bottle feed, two mums, two dads, single parent - all I care about is that you have a happy and healthy baby. Your newborn has arrived - congratulations! Send me an email to let me know and let's secure a date. We're aiming for 7-10 days but anytime older than 5 days is fine. I find newborns are generally sleepier in the morning so photo shoots start at around 10:30. There is a little wiggle room if needed. Life is hectic right now. You have a new baby to keep alive and there isn't much room in your overly tired head for much more. Your only mission is to get yourself to me. Come in your PJs if you like, there's no judgement here. If you're late on the day - don't worry! You have a new baby, that's the most valid excuse to be late that there is. If you're an emotional wreck on the day, please don't feel like you have to pretend otherwise. You will not be the first parents to cry on my sofa. Or nap. Everyone naps. If there are certain things you have told me about that you want to include in your photos (special teddy, blanket etc) remember to bring that as well. Can my mum/sister/best friend come? I have enough space to fit around 3 people comfortably in my living room. Feel free to come by yourself, come as a couple or bring a family member or friend. Your shoot will take place at my house in Hemel Hempstead. I live on a quiet street with lots of parking with easy access from the M1. I'll welcome you inside to my living room where I have lovely comfy sofas (they get compliments!) and you'll have snacks, water, TV and books at your command. We'll have a chat, get your little one undressed and get started. Your shoot will take place in an area just off of my living room. From the sofa you can see your baby, the tele and the snacks all at once so it's a win, win, win situation. The house will be WARM. Your baby will be naked and we want them to be comfy and sleepy so please dress light and expect heat. At the beginning of the shoot I'll look like a half decent human but by the end I'll look like I've just completed a 3 hour hot yoga class. If you've chosen to have Family photos we'll start with them first. We'll discuss whether you want your little one to be naked (this comes with a wee and poo risk!) or you have them dressed or wrapped in a blanket. My personal favourite is naked. I'll show you how to pose and will be there in a flash if at any point you feel you need a break. I encourage all parents to have family photos, even if they aren't sure if they want them. Not because I want to make more money from you but because I think they are important. If when you get to see your images you hate them, you just don't have to buy them. That said, not all parents want to be in photos and that's fine. Some siblings want nothing to do with their new brother or sister and some want to give them a little too much attention. I've seen it all! I have a few laying down and sitting poses that we can try depending on how confident they are. If it all goes wrong at the beginning we can always then give it another go at the end. From what you've told me on your Booking Form, I'll have everything set up and ready to go. Whether that's large props like bowls and baskets or simple images on blankets. I'll have set ups planned out in advance, well aware that if needs be, I will throw all the planning out the window and do what your baby needs or likes. All the poses on the blankets are done on a large posing beanbag, made specifically for Newborn Photography. Under every blanket is a waterproof pee mat to protect the one below. If (when!) your newborn wees, poos or is sick, I can just peel back the top layer and keep going. You may have to feed your little one a bit more than usual to keep them in a deep enough sleep to be posed. If you're following a schedule and don't want to change it, that's fine. I also use a Shusher to help calm babies. When you see the magic of it and want to buy one, you can do so Here. How long does a newborn shoot last? Depending on the baby, newborn shoots can last around 2 - 4 hours. Some babies sleep right through and others need a lot of time to feed and settle. I only ever book one newborn a day so I have all the time they need. What poses do you do? I'll gently pose your newborn, generally starting with them wrapped, then on their back, side and tummy before changing onto a furry blanket. Not all babies like all poses and I'd never force your baby into a pose they don't like. Some babies just down right refuse to be on their tummy, so we stick to their back. Some are the complete opposite. To see the range of poses I offer, take a look at my gallery page Here or follow me over on Instagram. Do you have props/headbands/outfits etc? Yes! You can read all about my prop collection Here. Sometimes despite all of our efforts, a baby just isn't interested in sleeping that day. If that is the case I do very similar style set ups but just without the posing. I change blankets, hats and wrapping styles but keep your little one safely on their back where they are comfy awake. What if my baby needs to be fed? We can stop for as many feeding breaks as your little one needs. Breast or bottle, as long as your newborn is happy, so am I! They're naked?! But what if they wee or poo? To be honest, i'd be more shocked if they didn't. I get wee'd on, i get poo'd on and the same goes for the blankets they lay on. It's fine! I generally take between 150 & 300 photos. I am a serious over shooter! When I first pose a baby I get a safety shot. That's where the posing, lighting, camera settings etc aren't quite spot on but I take a photo just in case your baby wakes up and I don't get to finish. I'll then spend time perfecting the pose (take a photo) perfecting the angle of the shot (take a photo) perfect the light (take a photo), change camera settings - and repeat. In the end I only get the one perfect image but it takes me all those first images to get there. Once you've left I pack everything away while I transfer all of your images onto my computer and back them up on a hard drive and a cloud backup service. How many photos will you edit? The first stage of the editing process is where I go through and narrow it down to the best 20-30 images. I get rid of all those 'safety shots' that I mentioned above, leaving the best ones to show you. I remove most dry skin and baby achne unless you ask me not to. I leave birth marks and mongolian spots unless you ask me to remove them. Errr Becki, can you make me look slimmer, remove my bags etc? If you're concerned about something in particular, try and let me know before I take your photos. It might be something we can hide with posing. If not, I'll try my best to fix it in the edit. How long does it take you to edit the photos? I aim to get all your images edited and back to you in 2 weeks. It sometimes takes a little longer if I'm especially busy. Can I see a sneak peek online when you're editing them? Can I see/have the unedited images? The unedited images are just less perfect versions of what I show you and are not available to be seen or purchased. Your Images are ready - so what happens now? 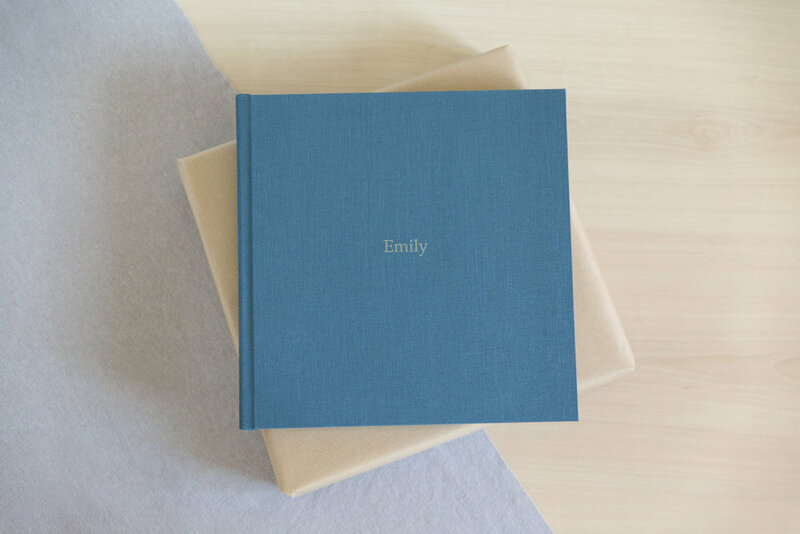 I offer two ways for you to view your images - a Reveal Session or an Online Gallery. A Reveal Session is where I come to your house to show you your images in person on my tablet and answer any questions you may have. If you think you'd like something to go on the wall or an album, I bring my sample products for you to have a look at. We can hold them up to walls to choose the right size, best frame for your house etc. This is the best option if you want to purchase a physical product. An Online Gallery is a secure, passworded gallery, which you can log in to view your images. Your gallery is live for around two weeks and you can log in as many times as you like to choose your favourites. I am always available via email if you have any questions. Can I see more images? I choose the best images to show you. The ones I delete are alternate versions of what I show. The lighting might off, the focus missed, the settings wrong etc. I sell Digital Images, Prints, Frames, Canvas' and albums. You read all about them Here. Can I buy individual digital images? Digitals are only available to purchase in collections and packages, not individually. What's the difference between getting a print through you and ordering one myself? When I order prints I resize and sharpen them specifically for the size you have chosen for your print. My chosen lab is a professional lab with a calibrated printer which gives me reliable results. Non professional labs can be a little unreliable when it comes to sharpness and colour. Any print ordered through me will be checked to make sure it's perfect but I can't take responsibility for results you get from another lab. Do I have to come and collect my USB/Products? Depending on how far away you live and how busy I am at the time, I'll either hand deliver your products or courier them over to you. Are there any restrictions to how I can use my digital images? The only restriction is that digital images are for personal use only. They can't be resold or use for advertising for any other company. You have my full permission to duplicate the files, send them around the world to your family, print them as many times as you like, get your own albums made etc. Digitals are delivered via your online gallery within 24 hours of you paying for them. Depending on what products you decide to buy, they take between 1 & 3 weeks to get to me. It'll then be a few days for me to check, package them and get them to you. Where will you share my images online? If you give me permission to share your images online I will post some on Facebook, Instagram, Pinterest, Twitter and my website. If you don't give permission for me to share them online I keep them completely private. What comes next? Do you photograph older babies? I do! Anyone who books a newborn shoot with me is welcome to come back and have a Milestone Mini Photo Shoot when their baby is around 6-8months. These 30 minute shoots are the perfect opportunity to capture all their new sitting and crawling skills as well as their cheeky personality. A Milestone Mini is £60 and comes with your favourite three digitals images. What other Mini Photo Shoots do you offer? How else can I keep in touch? You can find me posting behind the scenes peaks and daily work life most days over in Instagram Stories. I'm also on Facebook and Pinterest. I hope this has answered any questions you might have about your Newborn Photo Shoot. Have a question I haven't answered? Fill in the form below and ask away and I'll reply and add it into the blog.